Prince of Wales Primary School opened in 1950 and is situated in Enfield Lock, North East of the London Borough of Enfield. It benefits from extensive grounds including gardens, pond, sports fields, playgrounds and environmental areas. The local environment offers a variety of historical, rural and industrial resources which provide an excellent stimulus for historical, geographical and technological studies. Through the road, rail, bus and cycle networks the school has good access to the borough, the Capital, outer London boroughs and our neighbouring Counties of Hertfordshire and Essex. The School works closely with a range of stakeholders and agencies to provide the best education for our children and support for families and the local community. We are a full 3-form entry school and at our current capacity can accommodate 682 pupils. There is a 30-hour nursery provision. We benefit from the cultural diversity within our continuously changing local and wider community and have established rich partnerships which support our children’s development and broaden their experiences. We are an inclusive School that has high aspirations for all our children’s achievements; regardless of their learning abilities, background or prior education. Our pupils are taught and coached to be resilient to the many challenges in their lives; overall they are well motivated and ambitious. The Early Years Foundation Stage curriculum is implemented throughout Nursery and Reception, after which the National Curriculum is followed. All children are encouraged to achieve their best through a wide range of positive behaviour strategies. We recognise the need for a nurturing approach for pupils and adults alike. In the school, our year groups work together and are led by Achievement Leaders who are members of the School Leadership Team. The development of each person as an individual and their contribution towards the group and school community is central to our ethos. The children frequently attend events and competitions, for example football, netball, debating, chess and public speaking where they are commended for their attitude, accomplishments and behaviour. Our values led education has its focus on English and mathematics skills which are strengthened by a cross-curricular approach. We focus on a monthly Value and immerse ourselves in that value; what it means and understanding how we can all practically live by it. School Values have included Attitude, Co-operation, Thoughtfulness, Gratitude, Honesty, Enthusiasm, Responsibility, Compassion, and Peace. Each week we celebrate the successes of children who have demonstrated the values and they are presented with an engraved baton which they take home and pass on the following week to the next role model in their class. We believe it is important that children gain leadership skills and we nurture this in a number of ways, for example by enabling them to be team captains, take part in the School Parliament or be elected as a Prefect, Head Girl or Head Boy. 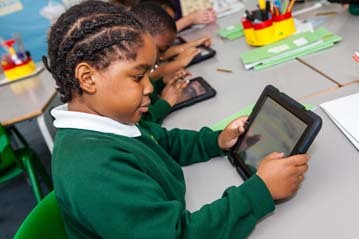 In English we offer pupils as many reading opportunities as possible, including through the use of ICT. All children read every day with an adult through our day through our Daily Guided and Supported Reading programmes. 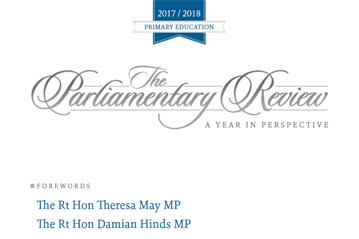 Writing is strengthened by making strong links with foundation subjects. All pupils in Years 5 and 6 participate in public speaking and debating and these are becoming strengths in our school. KS2 classes benefit from Philosophy for Children teaching, known as P4C. P4C enables deeper thinking about a range of subjects and strengthens pupils’ writing as well. The School provides access to Reading Eggs, Purple Mash and Mathletics, online learning programs that enable teachers to set differentiated homework tasks. Ocean Maths extends pupils’ maths skills at home. Much importance is given to traditional and performing arts. Opportunities for practice and performance are wide ranging, including class assemblies to parents, the school talent show, seasonal shows and, with the benefit of dance lessons by a specialist teacher, participation in the Enfield Dance Festival. Our music teaching and resourcing are recognised across the borough. All pupils have the opportunity to learn to play a variety of instruments such as African drums, steel pans, violin, viola and ukulele. One to one tuition of piano is also available. Music therapy is used to improve pupils’ emotional well-being, enable communication and improve confidence. The school radio is led by pupils and broadcasts to the playground. Visits to the Barbican or Opera enhance pupils’ music experiences. The school has a long history of successful art projects, working with artists and talented parents as well as our dedicated and creative staff. From September 2018 we are trialling a new school day, with an earlier start and finish at 2:30pm, with the option of attending (mostly free) enrichment activities until 3:30pm. Up to 30 different activities are on offer each day that give pupils a range of different informal learning experiences that enhance life skills and allow for socialising with peers. Subject Leaders are continually looking at improving pupils’ outcomes and raising standards in their area of responsibility. They learn from best practice in other schools to benefit teaching and learning across the age groups. We are part of the Enfield Town Schools Partnership (ETSP), an exciting alliance of 20 richly diverse, local schools who collaborate together to develop excellent teaching and learning opportunities for their pupils. Our team of gardeners supported by a dedicated School Environment Team meet regularly to ensure children can learn from the extensive outdoor environment. Each class grows their own vegetables, fruit and flowers and for the third year in succession we received an Enfield in Bloom award. Our chickens are well looked after by their young handlers. Families support us well and all parents are expected to take an active part in their children’s development and education. We have exciting opportunities to promote lifelong learning skills for pupils and parents through study support activities and extended schools facilities. We hold regular workshops to enable our parents to support their children in maths and English skills. The is also a range of adult learning that take place in our Community Room. There are also opportunities from outreach services to support more vulnerable families with parenting and accessing further help. The school day starts with a well-attended Breakfast Club from 7:30am that provides children with a calm start to the day, makes a significant impact on children’s behaviour and attentiveness at school and enables parents to go to work. Various intervention groups are organised during lunch time to provide some children with a much needed calm transition back into class ready for the afternoon. The after-school club is also highly valued by our working families. Our recognition of our school community’s diverse background can be seen through our work with the Alevi families, celebration of Black History Month, development of a community allotment, providing culturally diverse lunches, music provision, school staff. We value the contribution of our volunteers. Many staff started their school career in this way until their skills became noticed and they were recruited as a member of support staff and later as teachers. Our pupils also give their time freely supporting other children. Staff, pupils and parents reviewed our charities fundraising events to link with our annual school’s values cycle. We have an active group of parents that supports the school through the Friends of Prince of Wales.